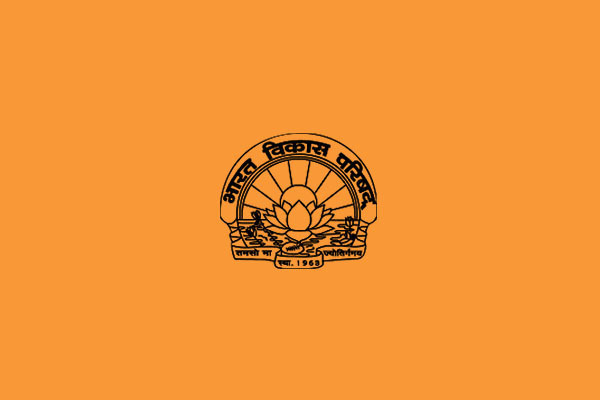 Bharat Vikas Parishad’s Flag represents the hopes and aspirations of the members of this sanskar and service oriented organisation. The Parishad’s Flag is rectangular in shape. The ratio of width of the flag to its length is two to three. It is of saffron (kesaria) colour. The emblem or logo of the Parishad, in dark blue colour, is placed in its centre. The size of the logo is one third of the width of the flag. The significance of the bhagwa colour, which also finds place in our National Flag, was amply described by Dr. S. Radhakrishnan in the Constituent Assembly which unanimously adopted the National Flag. Dr. S. Radhakrishnan explained—“Bhagwa or the saffron colour denotes renunciation of disinterestedness. Our leaders must be indifferent to material gains and dedicate themselves to their work.” Similarly, bhagwa in Parishad’s flag inspires members of Bharat Vikas Parishad to dedicate themselves to the the aims and objectives of the Parishad selflessly and devotedly. In the logo placed at the centre of the flag, rising sun signifies knowledge, lotus denotes purity, divinity, wealth, knowledge, and enlightenment., ripples in water show relation of water to all plant life on which all other life-forms depend, ‘Tamaso Ma Jyotir Gamay’ guide us to move from darkness to light and the year 1963 as the birth of our organisation reminds us of our legacy and responsibilities for the future. When the Parishad adopted its flag in 2007, it was decided that, to begin with, it will be hoisted at functions held at National level only. Based on experience gained, its use for other levels will be considered in due course. Thus, the first time Parishad’s flag was hoisted it was on the occasion of All India National Group Song Competition held at Ujjain (M.P.) in November, 2007. However, the 25th (Silver Jubilee) All India National Conference of Bharat Vikas Parishad, held at Gwalior (M.P.) 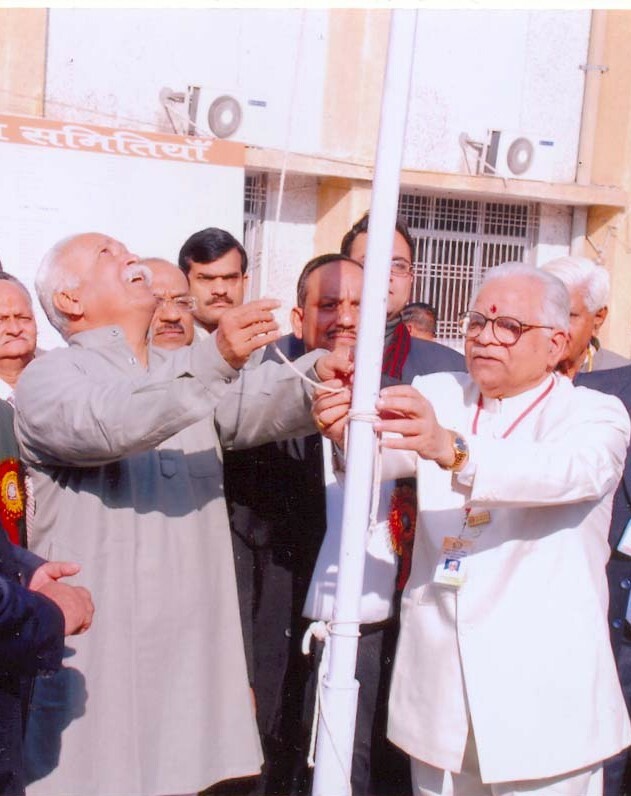 on 29th and 30th December, 2007, became the first National Conference meeting where Parishad’s Flag was hoisted.